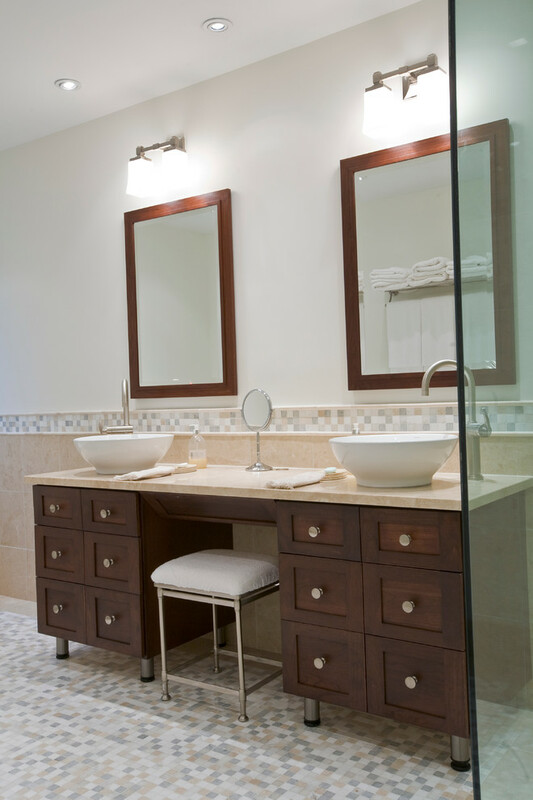 Inspired by an old-world look with a contemporary touch, these Connecticut homeowners decided to bring their large but inefficiently organized master bath to its full potential. 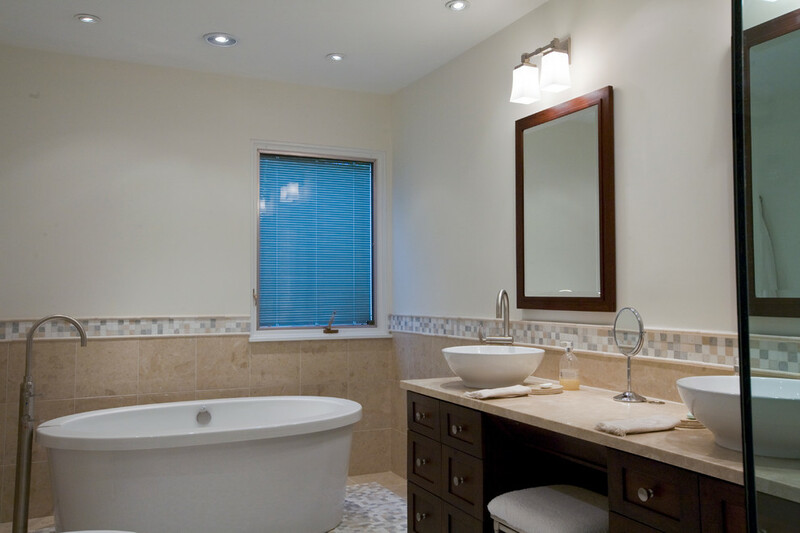 With the help of Simply Baths owner, Barry Miller, the couple redesigned their cramped and outdated bath to maximize luxury, comfort and space. 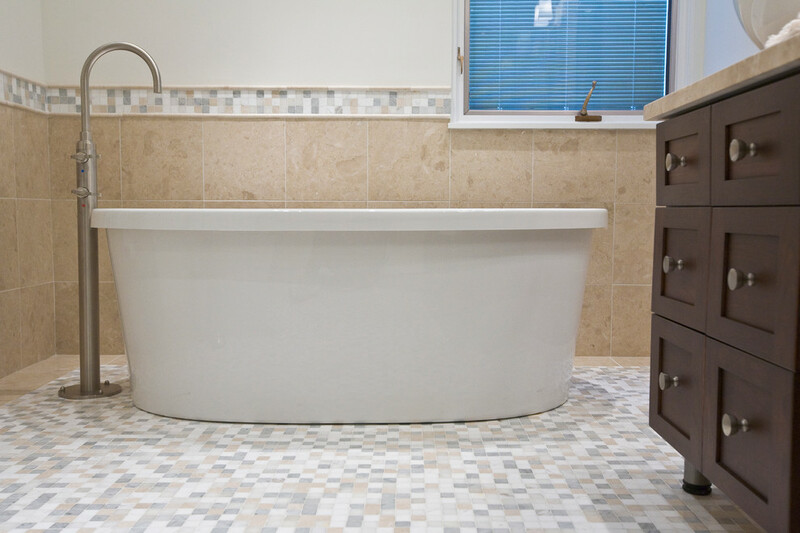 This award-winning bath is a private retreat for these CT homeowners. 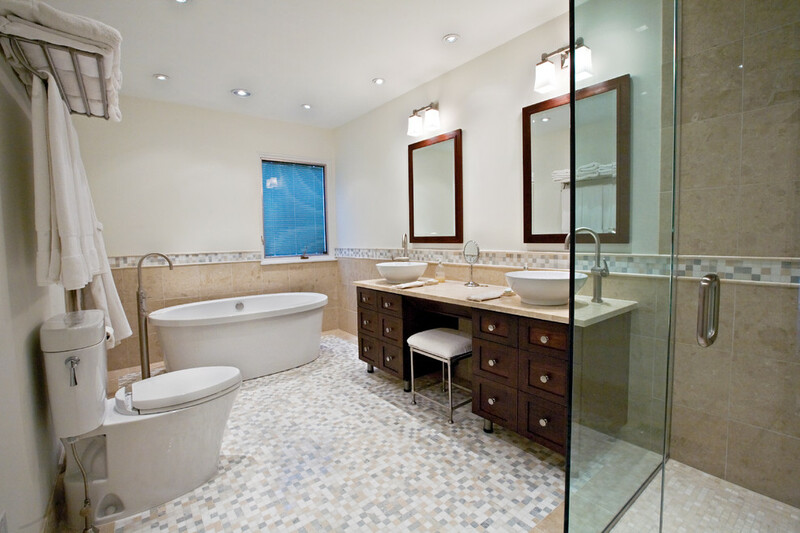 The steam shower, body jets and freestanding tub in this master bath give it a spa-like feel. 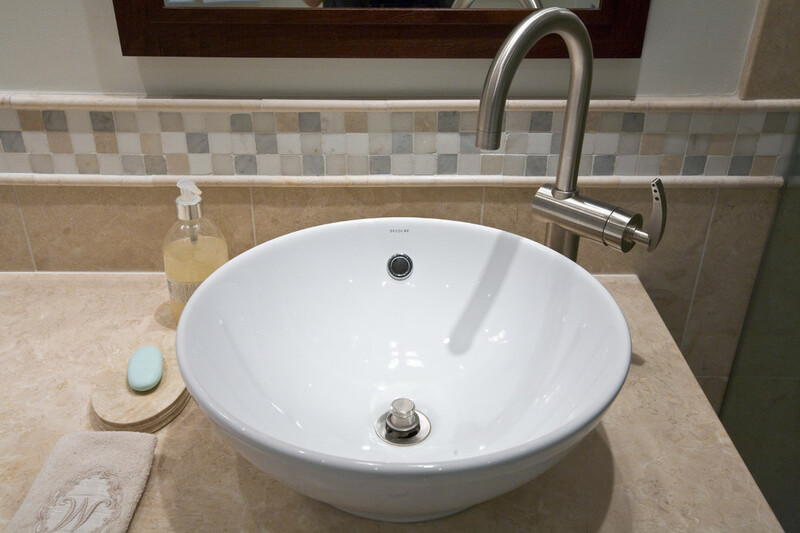 While a lot of design went into this space, the combined end result is seamless and uncluttered. Simple touches make a dramatic statement, like the tiled half-walls, the stone mosaic and the vessel sinks that mimic the clean lines of the tub. This award-winning bath is a private retreat for these CT homeowners. 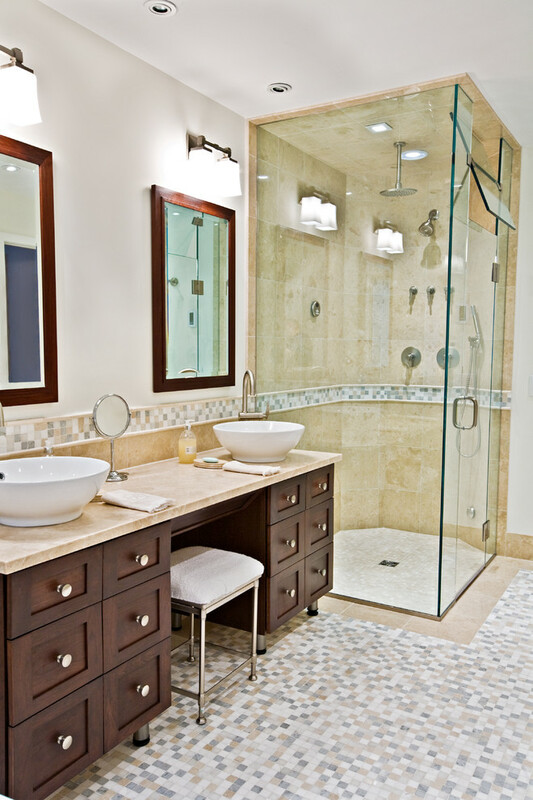 The steam shower, body jets and freestanding tub in this master bath give it a spa-like feel. 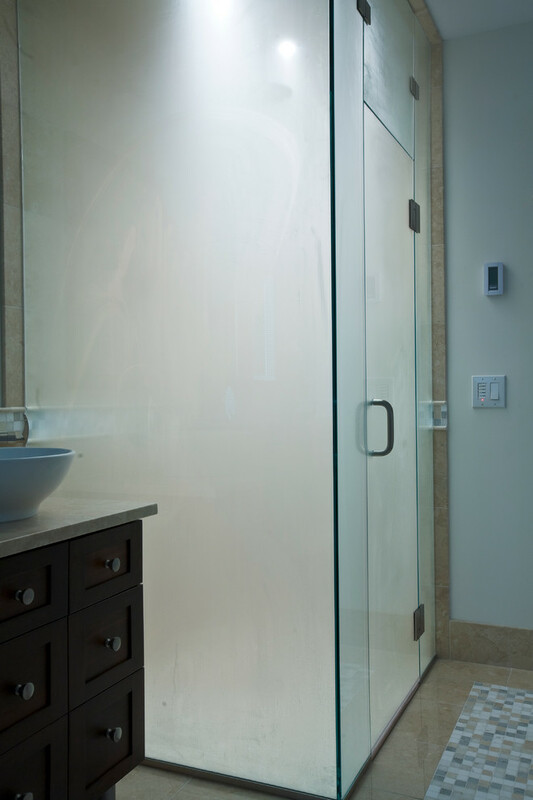 Note the transom window at the top of the glass to vent when the shower is being used as a standard shower instead of a steam shower. This award-winning bath is a private retreat for these CT homeowners. While a lot of design went into this space, the combined end result is seamless and uncluttered. Simple touches make a dramatic statement, like the tiled half-walls, the stone mosaic and the vessel sinks that mimic the clean lines of the freestanding tub.